The words tumbled out of my mouth for the twentieth time. My fingers were dancing intently across the computer keys, trying to get the words down at the rate my mind was thinking them. “That’s a very long second…” my husband sighed after more than a few minutes had passed. About a half hour later, I closed my laptop, thoughts, and ideas zig-zagging through my mind, the urge to open my laptop to check something or note something growing by the second. It took a long time for me to realize that he was right. I love to write – always have. And after discovering blogging, it quickly became a passion. But like all passions, if you’re not careful, it can end up taking over your life, leaving a trail of chaos, unbalanced priorities, and neglected responsibilities. It’s hard to pinpoint exactly when I started to realize that the amount of time I spent blogging versus the amount of time I spent doing everything else had become unbalanced. But one day, while browsing Pinterest, I clicked through to a website that gave me a terrifying preview of where I could end up if I wasn’t careful. I was surprised. Maybe I had misunderstood. After clicking around a little more, though, I was dismayed. I hadn’t misunderstood. And it was actually worse than I first thought. After browsing not only some of the blogging posts but also the parenting posts, I was shocked. The parenting posts were less about raising children and more about how to get your children out of your way for a while so you could spend more time blogging! There was a serious disconnect. And as I inwardly lamented how self-focused the blogger seemed to be – at the expense of her duties as a wife, mama, and homemaker – it started to dawn on me that I was heading in a very similar direction. I hadn’t traveled as far down the path as she had, but still – I was on it. She didn’t claim to be a Christian. I do. Therefore, my main priority must be building God’s kingdom – not my own. A friend once remarked to me, “You know… I think a lot of people don’t realize that when they give their lives to Jesus, they give their lives to Jesus“. She’s right. In the current cultural climate, more people than ever who claim to be Christians seem to live as though their lives are still their own. But as 1 Corinthians 6:19-20 reminds us, this is not the case. …do you not know that your body is a temple of the Holy Spirit who is in you, whom you have from God, and that you are not your own? For you have been bought with a price: therefore glorify God in your body. In light of my realization, I started to ask myself some pretty tough questions. How have I been spending most of my time? How SHOULD I be spending most of my time? Have I been neglecting my family? Whose kingdom have I been focused on building – mine, or God’s? These questions – and the answers to them – are painful when we’ve been focusing more on our preferences than our priorities. Partly due to this realization, and partly due to circumstances that were out of our control, I ended up taking a blogging hiatus. What if my traffic disappears? What if everyone on my list unsubscribes? What about all my monetization efforts? What if I can’t just pick up where I left off when I come back to it? These questions and more flooded my thoughts almost constantly, highlighting just how out of whack my focus had become. Not far into it, I gained clarity and realigned priorities. I worked at setting specific times for blogging and specific times to be away from my laptop and phone and fully engaged as a wife, mother, and homemaker. I not only survived my blogging hiatus… It was actually the best thing that not only happened to my mind and my family life, but also to my blog. It was only by taking a step back that I could see a fuller picture of how unfocused, scattered and skewed my blog and its message had become. I had no clear strategy. I had no clear purpose behind each piece of content. And I’d been jumping ahead of where I was in my blogging journey without laying a solid foundation to build upon. As it turned out, taking some time off from blogging actually helped my blog. I learned things and changed things that I wouldn’t even have discovered were off track if I’d just kept going, trying to keep up with all the never-ending list of tasks that ‘need to be done now’. So here’s my challenge to you, Christian blogger: Take a step back. Review how you’ve been spending your days, and reassess if it lines up with your responsibilities and priorities as a follower of Christ. Yes, you can serve God with your blog. Yes, blogging can be a ministry. But I’m guessing that 90% of your blogging time is spent chasing things that have no eternal value or significance. How to get more pageviews, how to monetize your blog, interacting with other bloggers on social media… These things have their place, but it’s all too easy for them to end up dominating your blogging, diluting your focus and distracting you from your family. Taking a step back to do some re-evaluation may seem counterproductive, but I can assure you from personal experience that it will change your life, your family’s lives and the lives of those you reach with your blog. Are you caught in the hard-to-detect trap of producing content without a clear strategy or purpose behind it? By taking a step back and looking at the bigger picture, you will see how unclear and all-consuming your blogging has become. Today, I have a clear purpose and I am actively working on balancing my priorities. This means I have less time to spend on my blog in my current season of life. But that’s okay! I love blogging enough to stick with it, using the margins of my life to get some work done on it. But I love my family far more – enough to close the laptop and focus on them when there is still so much blog work to be done. I don’t ever want my husband or son to think that my laptop or phone is more important to me than he is. I don’t ever want to shirk my homemaking duties so I can have extra time to write about managing homemaking duties. If you feel like you’re exactly where I was, then I have some good news: you don’t have to stay there. You can take a step back without your blog collapsing like a house of cards. And you can find fresh focus and realign your priorities so that you can step forward in a much better direction. 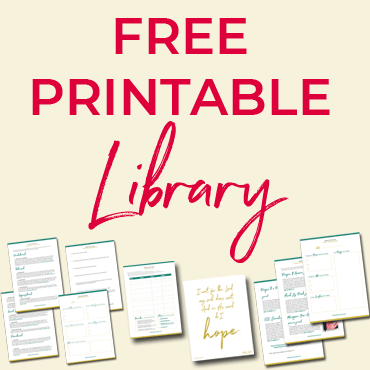 I’ve made a free printable kit to help you – get it at the bottom of the post! PRAY that the Lord will help you to step back, refocus and realign your priorities according to His word. 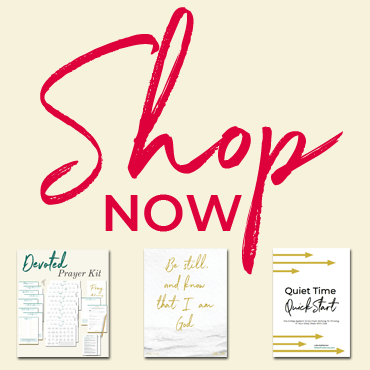 DOWNLOAD the free printable pack by entering your email address below. Then print and use to assess, align and assist your blogging efforts within your overall priorities. REMEMBER: Your top priorities are to love and serve God and to love and serve the people He has entrusted you with. Here’s your free printable Priority Planning kit. There’s a worksheet to help you check your motives and make sure you’re not neglecting the people and responsibilities God has entrusted you with, a daily planner page that you can print out every day to help you keep focused on your priorities (in the right order), and a cheat-sheet of recommended blogging resources that helped me cut through the clutter of tasks and information to blog efficiently without neglecting my roles as wife, mama, and homemaker. Until I started blogging I did not realize how much time it took, it is like running a company on your own. But so, so true that if we don’t set priorities we will worship at the feet of blogging instead of the feet of Jesus. Thanks for the reminder! A good warning for us all! Blogging can consume your life! I try very hard to keep regular “work” hours and stay off the computer, at least for blogging, on the weekend. Looks like you have some fabulous resources, too! Blessings to you as you make God known in all you do! Sarah, thank you so much for your thoughtful comment and valuable insights. 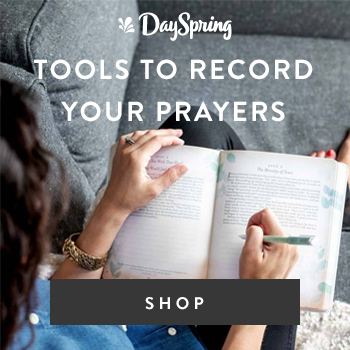 You are 100% right – a break can do more good than we imagine and help us to reconnect with God on a deeper level (which in turn can only make our writing better, as a bonus!). Thank you for your encouragement and wisdom. And for the info on Francine Rivers – I’ve heard of her and know some of her work, but I never knew the details that you shared. May the Lord help us all to choose and put Him first, above all. God bless. Very good post Lois! Love where your heart is for the kingdom! I am actually on a break right now so this post was perfect timing for me that gave me confirmation!! Wise words and an important reminder. Thank you.